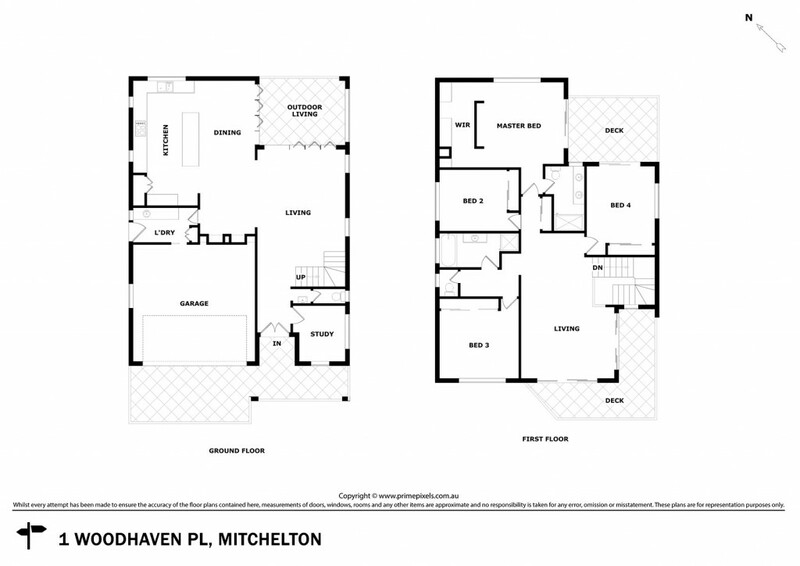 Presenting 1 Woodhaven Place, Mitchelton. Nestled in coveted Woodhaven Place, number 1 presents the perfect opportunity to secure a spacious and stylish contemporary residence in a prime location. Step through the wide entrance doors to discover high 2.7 metre ceilings, LED lighting and beautiful polished porcelain tiles throughout the spacious open plan lounge, dining and kitchen. The eye-catching designer kitchen, complete with an expansive island bench and stainless steel AEG German appliances, is sure to excite the chef in you! The outdoor entertaining area is easily accessible through large stacker doors and is the perfect spot to entertain friends or to sit and watch the children playing in the flat back yard. Upstairs via the bespoke Tasmanian Oak staircase the sense of space continues. Soaring ceilings, crisp clean lines and a cool contemporary colour scheme all work perfectly to capture the natural light. Designed with the modern family in mind, upstairs delivers additional living area giving everyone plenty of room to spread out and live comfortably. There are four bedrooms, all oversized, a large living / theatre room and two spacious decks - both great vantage points from which to sit back and take in the elevated district views. Located in thriving Mitchelton just 9kms from the city and moments away from Brookside Myer, trendy Blackwood Street cafes and a selection of school and public transport options - position is perfect.